For more information on tools, view our post: ➳Woodworking Tools – A Beginners Guide. 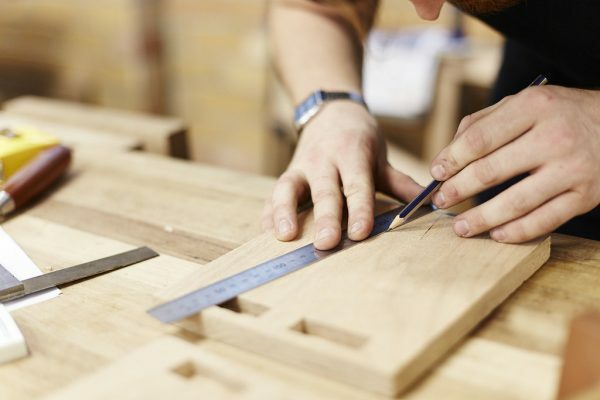 This term long course is an introduction to woodworking, which gives students the fundamental grounding, accuracy in hand tool skills and methodologies needed for creating fine objects in wood. Students will undertake instructive projects with well-defined outcomes. The focus of these projects is to build important core skills that form the necessary groundwork for much more complex future projects. It must be emphasised that developing these skills requires considerable patience and a commitment to excellence. Students will be provided with all materials and consumables required for the completion of each project. Class numbers are limited to eight students, to ensure that each individual is given adequate time with the tutor addressing their specific ability and progress. Each student is provided with a bench to use and storage space for timber and or their developing products. Students are required to bring a set of their own tools (see list of Required Tools). Tuning and sharpening of all tools is thoroughly explained, as this is probably the most critical factor relating to the production of a finely crafted object. Students will be given advice on bringing second hand planes and chisels up to optimum performance levels. This is a term long course suitable for beginners to intermediate students, requiring attendance for 10 weeks, one day each week, from 9.00am to 4.00pm each day. • Produce curves and shaped wooden components. • Construct a stool using a variety of methods of bending. • Sharpening & maintaining an edge. • Methods in marking and measuring for accuracy.